Now, you don’t need to waste your time looking for Elementor extension that’s well coded, flexible and supported. 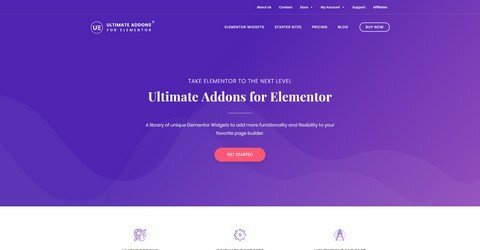 After the huge success and love from 100,000+ Beaver Builder and Visual Composer users, Ultimate Addons is finally available for Elementor users as well! If you’ve used any of our products before, you already know we put a lot of thoughts and efforts in them. We give our best to make sure they are innovative, flexible, powerful, and lightweight on your server resources. Ultimate Addons for Elementor is not different at all.